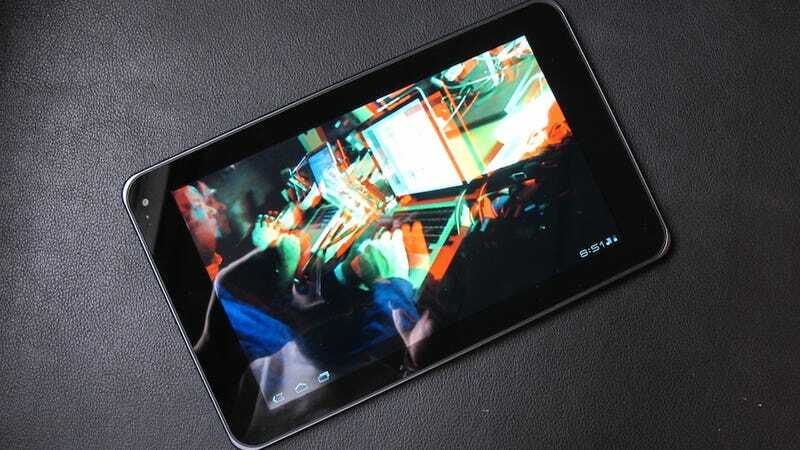 Under the hood, there's not much separating the T-Mobile G-Slate from its nearest known competitor, the Motorola Xoom. Both run stock builds of Android Honeycomb. Both use the Tegra 2 chipset. Both have 1 gig of RAM. Both come equipped with 5 megapixel and 2 megapixel rear/front cameras. So what's different? Aside from size, the G-Slate uses T-Mobile's 4G-ish network and has "3D" capabilities, if you really want to call it that. At 8.9-inches, it's noticeably smaller than a 10-inch tablet, but not so small that you're yearning for the extra real estate. Like the Xoom, the G-Slate is a half-inch thick and it weighs about 1.4 pounds, so it's a bit heavier in the hand than the iPad. T-Mobile's 4G mobile broadband is certainly faster than most 3G networks and can load pages and videos in a reasonable amount of time. Reception issues are a non-issue (around NYC, at least). But again, this is not LTE, nor is it WiMax. It's HSPA that's been beefed up. When it comes to the 3D functionality, I'm not really sure why they bothered. The display doesn't support 3D video files. The stereoscopic cameras shoot in 3D, but you need to output it to a 3D-capable display to be able to view anything you shoot. And their solution for 3D on the tablet is anaglyphic 3D recording (and viewing) of videos and photos. Unfortunately, this isn't 1995, and most people aren't going to be impressed by stuff popping out at them in red and blue (at least, I hope not). Simply put, 3D is a gimmick on the G-Slate. The Flash 10.2 beta is also available for the G-Slate, and it works...mostly. It'll play videos smaller than 720p and load most Flash elements in web pages. But its inclusion is not life changing and HTML5 video is still smoother on this thing. Often, there are noticeable artifacts during playback and a bit of choppiness. But if you really need to view Flash content, it does the job. The 1280x768 screen looks sharp at 168 dpi, but has a bit of a greenish tint to it. It tracks taps and finger presses well, though scrolling could be a bit more responsive (which becomes apparent while web browsing). So other than some irrelevant 3D features, and mobile carriers, the G-Slate isn't all that different from the Xoom—they basically have the same guts. If you're debating between the two, it'll mostly come down to size preference.